Since moving to America, where she was introduced to Western riding, Anna mainly focuses on this discipline. She works on different activities to help the horse to learn to use its hindquarters effectively, improving power and mobility, and teaching them to establise a relaxed, low head-carriage, whilst staying on the bit. 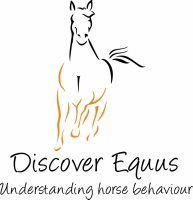 To book a lesson, please contact Anna at discoverequus@gmail.com.